More than 25 million Americans have some type of thyroid disease. In my case, I have been diagnosed as hypothyroid (under active thyroid) due to Hashimoto's Thyroiditis, which is an autoimmune disorder where the body attacks the thyroid gland. In this post I'd like to share with you part of my thyroid journey. 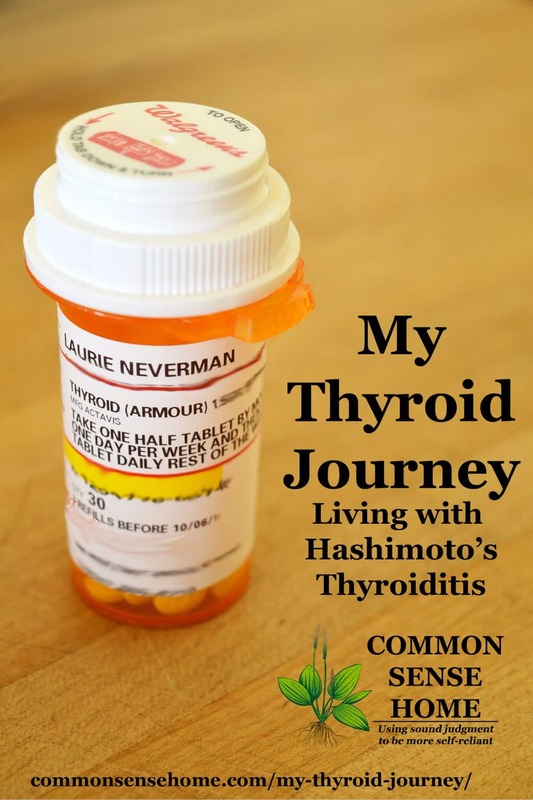 In the fall of 2008 I was diagnosed with Hashimoto’s Thyroiditis. I had been having some symptoms commonly associated with hypothyroidism (cold hands and feet, fatigue, dry skin, some depression). I was not experiencing weight gain, but I was not losing weight, either, even though I exercise nearly every day. TSH and free T4 test results were high normal, but the antibody test for Hashimoto's was sky high. My thyroid is enlarged and has three nodules on it. Two ultrasounds about six months apart showed no growth in the nodules. They appear to be benign. My current doc has me get an ultrasound every 2-3 years to make sure they're still behaving. I visited my doctor in November to get my thyroid checked again. My TSH and free T4 levels had come back at the edge of high normal range and the doctor suggested I try 25mcg Levothyroxin daily. He asked me to retest TSH and free T4 in four weeks. When I specifically asked the doctor about diet or lifestyle changes I could make to treat the underlying causes of my disease, he told me there was nothing I could do. I should just get on medication and resign myself to my thyroid eventually destroying itself. My symptoms did not improve. In addition, I developed moderately severe joint pain in my right knee (this knee has bugged me occasionally but rarely this bad). During my menstrual period, I had severe cramping (much worse than normal) and felt physically ill for 2-3 days. I felt that I had difficulty concentrating, and found myself rereading the same paragraph over and over again. With no previous history, I developed gastric reflux and by the third week it was starting feel as though my throat was closing up and it hurt/was difficult to swallow. This was similar to the (I believe) allergic reaction I experienced on amoxicillin and prednisone. When it came time to renew my prescription I decided not to do it. I called the doctor and canceled the blood work and notified them that I was going off the medication. We had no health insurance and I did not know when we would have insurance again. (Note – my husband was unemployed at this time. Stress levels were very high.) I told them that I would check back in sometime in the future. The doctor was not happy and instead wanted to increase my dosage, but I declined. December 2009 – The throat swelling went away in under a week once I stopped the Levothyroxin. I am no longer having acid reflux. My knee does not ache excessively. My hands and feet still tend to be cold and my skin is still dry, but it has been very cold this month with record breaking snowfall (over 3 feet for December alone). I have started using coconut oil as a face/body moisturizer, too. My head is clearer and I am able to read normally again. My menstrual cycle resumed without any significant cramping/pain/fatigue, etc. I decided to try alternative thyroid treatments. After doing some research online, I continued to use NatraBio Thyroid Support tablets three times per day. My supplements included about a teaspoon of coconut oil three times per day, a Women’s Multivitamin/Mineral, 1000 mg vitamin C and 2000 2000 I.U. Vitamin D.
I have been starting each day with listing things that I am thankful for and practicing counting my blessings instead of my worries. January 2009 – Symptoms are about the same – skin still dry, hands still cold – but, hey, it’s winter! Joint pain has decreased significantly. I am exercising every morning again. December 2009 – I started dry brushing and cold rinses in the shower, and decreasing my carbs while increasing my fat intake after reading “Eat Fat, Lose Fat”. Over the month of December, I dropped ten pounds, even with the holidays. Skin is much less dry and itchy, as are eyes. January 2011 – Down about another ten pounds. Recently read “Primal Blueprint”, and other material indicating that gluten may be contributing to my Hashimoto's Thyroiditis. Working to reduce/eliminate gluten/grains in the diet, but I'm not there yet. I've changed up my work out routine, and started including “sprints” and weightlifting again. Still under a lot of stress due to job uncertainly. My skin is softer and smoother, and bowel movements are regular (constipation is a common symptom of an under active thyroid). Since I wrote this back in 2011, I was able to find a doctor who finally listened to me and was willing to switch me to Armour thyroid. I felt even better, and lost a little more weight. For supplements, I use a probiotic, selenium, zinc, magnesium, B complex stress formula with C, and vitamin D3 in winter when I can't get much sun. I don't have any joint pain now. I made some mistakes. For one thing, I think I overdid the kombucha, which led to candida overgrowth that threw my system out of whack. This in turn led to psoriasis over much of my body in 2015. Again, the doctor said, “Live with it”, but thankfully I got back on track again and am doing well. You can read the first post of that series, “Psoriasis – The Year my Face Exploded“. After that round of diet changes, I lost even more weight, even though my thyroid medication remained the same. I had food allergy testing done, which flagged several types of beans, kale, pineapple and Brazil nuts. No more daily Brazil nut, and no more bean flour as a gluten free baking substitute, no more scrambled eggs and kale. Dairy and grains, which bother many people with thyroid conditions, didn't show up on my testing. That said, because autoimmune conditions are commonly associated with a leaky gut, I still limit grains and dairy. It makes it easier to get more veggies in, which tend to be more nutrient dense, and I feel better. Do you have a thyroid disorder? If so, what have you done to help your thyroid heal? I hope you find my story and these resources useful. Hashimoto's Thyroiditis: Lifestyle Interventions and Finding the Root Cause – If you only get one thyroid book, this should be it. Dr. Wentz breaks down all the connections to thyroid health, and gives you tools you need to make lifestyle choices and ask the right questions to get the thyroid treatment that is right for you. I read Dr. Brownstein's books first, and they opened my eyes to the importance of iodine. I've read some mixed reviews on Dr. Brownstein's supplement recommendations, so please do your own research before making any decision to supplement and speak with a trained healthcare provider. A couple more related books that deal with coconut oil that may also be helpful are The Coconut Oil Miracle and Eat Fat, Lose Fat. I know saturated fats are currently demonized, but I have lost weight on coconut oil, and these books explain why. Wow. I had no idea you were dealing with thyroid issues. Very interesting journey you're on…including the fact that going homeopathic has been healing, whereas traditional medicine would have been destructive. I really wish our area had more trustworthy, non-traditional practitioners, but I haven't found any other than our chiropractor. He does do nutritional therapy, too, though so let me know if you want his name/contact info. It's not just me – autoimmune diseases have been skyrocketing. I'm working on a new post related to this. Still hunting for a good holistic practitioner in the area, but so far no luck. The folks from Herbalix have been an excellent resource for bringing my attention to a number of potential triggers with which I was not familiar. Laurie, I've got goosebumps. It sounds just like me, as I read. Up to this point – I had found common denominators with Celiac Disease. And like you – my doctor told me my levels were " on the edge, but more to the 'no' side " on my blood-work done for my thyroid. Gonna save your posting. The regimen you've posted will be very helpful! Thanks for taking all the time to share this!!! I should note, all other blood work was very "normal", and I do visit my chiropractor once in a while, who checks my blood pressure, which also looks good. I believe the choices I have made would be helpful to almost anyone, regardless of the state thyroid and barring allergies or other complications, but please do your own research and consult a qualified health professional (if you can find one). I have to write this down. I'm on 137 mcg of levoxyl, which I believe is high, higher than the girl I work with that has no thyroid! I started out much lower but gradually increased over the years. I had been feeling about 90 yrs old, couldn't concentrate, constipated, and sore. I do have arthritis but every joint had been sore, really it still is. I have to be careful with everything. I feel better now but still not right. My nails are very ridged, noticeably so. I tend to cut them very, very short- interferes with the keyboard at work anyway. My ob gyn said I do better on a low fiber diet even though my doctor says I need high fiber for the diverticulitis (which was probably caused by the thyroid constipation). I have felt gluten is a problem, I crave it, and form what I understand, that is a symptom. I'll have to try some of the things you are discussing. Thanks. Kathy – did you read the bowel movement post? (Now there's a sentence I never thought I would type…) I wonder if any of those suggestions would help. More fiber, which is commonly recommended for many conditions, may or may not be the best choice for you, as every person is unique. Do try and work with your doctor to keep your digestive system moving well, as that is a common area for toxin build up. It's very interesting that you crave gluten, and could well be a symptom. As come folks have pointed out, many sources recommend eliminating gluten entirely from your diet if you have autoimmune thyroiditis. Reducing (as I have) is not likely to resolve the issue if you are gluten sensitive. I don't crave gluten, per se, as much as I crave carbohydrates, but even those cravings have been significantly reduced. Stress and less daylight are my big carbohydrate triggers. I'm going to add links in the post to a couple of books that I have read that I found helpful. While they don't have all the answers, I do think that they are at least asking some of the right questions, which is a good place to start. I have a friend with similar symptoms but she was diagnosed with PCOS. Maybe you might want to look into that too. Synthroid is synthetic T4. T4 is only one of several thyroid hormones – the storage form that has to be converted before being able to be used by our bodies. Some hypothyroids have difficulty making this conversion so T4 only meds are ineffective in treating their hypothyroid. Natural desiccated thyroid is a product that has been used for over a hundred years. The currently preferred brand for many people is NatureThroid (it used to be Armour until Armour Thyroid reformulated and became troublesome to many, many people). The problem is that most mainstream docs worship Synthroid and the TSH test. To get a complete picture of thyroid function, TSH is inadequate. Free T4, Free T3 and the antibody tests give a much better view of what's happening with one's thyroid. Again, getting a mainstream doc to order these tests can be difficult. 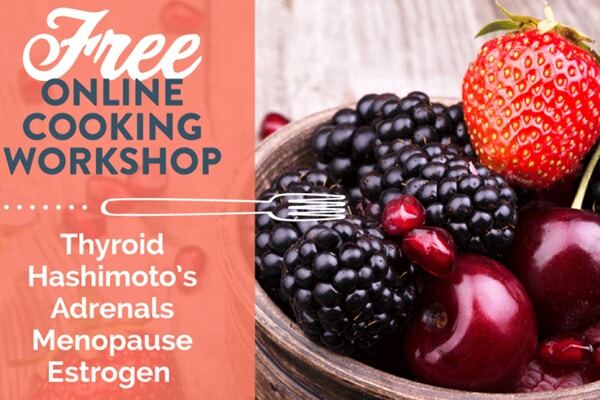 Many people have found that iodine supplementation (in adequate amounts that are usually MUCH higher than those recognized as safe and necessary by mainstream docs) helps with thyroid issues. Good clean sources are important since much iodine is found in seafood that can be tainted by mercury. Iodoral and Lugol's Iodine are two good sources of iodine. Another supplement that helps is Selenium. In addition, hypothyroids are often deficient in many vitamins and minerals beyond Selenium and Iodine. B12 is often low and needs to be supplemented with methylcobalamin form that is available to the human body. The cyanocobalamin form that is common in supplements is inexpensive and attractive to supplement manufacturers but it is ineffective in the human body. Pamela – thanks again for your thoughtful comments. Much of the information you posted is in the three thyroid books I recommended, but you certainly won't get it from most main stream physicians (at least I didn't). I asked about using natural dessicated thyroid supplement for just the reasons you mentioned, and my doctor flat out refused and said he would not prescribe it. When I went in this past week to get an ultrasound and blood work, the only blood test the doctor ordered was a TSH check. I was so frustrated! And of course you can't get additional blood work done unless they approve it. I think I might finally have a lead on a physician who is more open to treating the underlying causes instead of just handing out more pills. I'll keep working on all of it until I find a better solution. Thank you for posting this! I was recently almost not diagnosed with Hashimoto's. My TSH level was 4.5, and since we're trying to conceive, my fertility specialist put me on 50mg Levothyroxine. My herbalist/acupuncturist asked me if I'd been diagnosed with Hashimoto's, and I realized I didn't know WHY my level was high. A week later my dad called to tell me that my aunt had Hashimoto's and that I should get a test done. I called the office, and the nurse I spoke with told me that there was no way I had it, my levels weren't high enough. I didn't believe her, and later when I met with the doctor, he confirmed that it was, in fact, Hashimoto's, but only after I asked him specifically about the issue. I've not had the negative effects that you have on Levothyroxine. In fact, as soon as I started taking the medicine I began to feel like I came out of a cocoon. I'm no longer as tired anymore, and not nearly as down. Someday, hopefully after we actually do manage to have children, I would like to move to a more natural method of treatment. It creeps me out that I would possibly need a man-made drug to survive in the future. I don't know what kind of alternative medicine doctors you have in your area, but my herbalist/acupuncturist is super. I pretty much treat her like my primary care physician now and go into the "regular" doctor only when I know I need to. If my western primary care physician (who I really like actually) comes up with something to watch out for I make sure my herbalist is aware of the issue and she compliments my other treatment. I'm so glad that you feel better. Everyone is different, so it's important that each individual find out what works best for them. Alternative health resources in my area are almost non-existent, but I have finally tracked down a doctor who is at least willing to talk about my history and symptoms and consider alternative treatments. I am sensitive to a number of different substances, so I suspect that had something to do with my bad reaction. As I said in the post, I don't believe are bodies are designed to fail, so I figure it's up to me to figure out what's causing the problem. Nadine – strength to you on your journey. We have to be our own advocates, and find what works best for each of us. This was VERY interesting to me! I stopped taking Levothyroxine about a year and a half ago, and aside from a bit of weight gain(which with watching what I eat DOES respond rather well), I have not noticed a worsening of the initial symptoms. I too have begun using coconut oil. It is so frustrating to try to find a doctor that will work WITH you–it was a red flag to be told “You’ll just reach a happy place with the medicine and be on it the rest of your life.” I’m sorry, sir, but that does NOT sound like a “happy place” to me! Your blog is so informative and helpful; thanks for putting the time into sharing your experiences for others’ benefit! Thanks for your comments, April. I found a doctor I liked better, and then she retired, so now I’m trying another doctor in February. Hopefully this one will be more helpful! I did get on natural thyroid recently, and it helped me to drop more weight. Feeling pretty good overall. I have no choice but to take a thyroid supplement. I started out with Graves’ Disease, which causes an overactive thyroid (hyperthyroidism). I didn’t not respond to medications to slow it down. Because my heart was also racing at a resting rate of 124 bpm, something HAD to be done to slow it and my thyroid activity. Like you, I was told there was nothing that could be done naturally, and that since I wasn’t responding to medication, I needed to have either surgery to remove the gland or a radioactive iodine ablation to put it out of commission. I chose ablation because that’s what my doctors said I should choose. As out of control as my thyroid seemed to be, I am not sure if I could have controlled it with diet, but I didn’t have the knowledge then to even try. If I had it to do over again, I would at least try. The worst of it all was the transition from hyperthyroidism to hypothyroidism. It happened over the course of a few months, but when you’re going from one extreme to the other, that’s very quick. I was miserable once I quit producing the thyroid hormone on my own but before the correct dosage of Synthroid was found for me. I went through 3 endocrinologists and 3 family physicians before I found my current doctor, a female doctor of osteopathic medicine, who “gets it” that just because a TSH test is normal, that doesn’t mean all is ok, and just because all the thyroid results are normal, that doesn’t mean I’m right where I need to be. I bet you won’t be surprised to know that she has hypothyroidism herself. All I can say is that if I knew then what I know now, things might be a lot different. Or not. Who’s to say? But I feel like I wasn’t given much of an option and that I was mislead into thinking the transition from one thyroid state to the other would be “no big deal”. Hope you continue to have good luck on the natural path. Annie – I really need to update this post. After hunting and hunting, I finally found a doctor who was willing to prescribe natural thyroid, and I responded better to that. Then, she retired, so I had to hunt down a new doctor. Luckily, a friend recommended a local osteopath, who was also willing to prescribe the natural thyroid. I just met with her last week and am back on my low dose. Right now I’m waiting for my levels to normalize again, because I ran out when I was hunting for a new doctor. In a couple of months I’ll get new bloodwork and see where I’m at. Thankfully, this doctor was willing to discuss free T3 and T4 levels and antibodies, not just TSH, so I am hopeful. You sound just like me. I have been fighting Hypothyroidism for a long time. I go to the gym 5 days a week and work out hard. I need to lose 20 pounds and can’t. I go to a Bio-identical doctor which is awesome. He treats for natural replacement hormones and etc. He takes blood from you to run tests. I am hoping that He can get me right soon. I’ve been researching my own thyroid issue (Hypo) I religiously take kelp selenium and -Tyrosine, grow my own veggies, eliminated fluoride, cook my cruciferous veggies etc. But I have weight and other issues still though my energy is great. I am exploring the possibility that my estrogen and progesterone levels are out of balance. Phytoestrogens are everywhere (plants,pesticides in water, etc) even sadly in most beloved essential oils. Estrogen causes you to retain toxins and fat… it has good uses too, but those are the bad ones that result from too much. You may want to research the symptoms of having too high estrogen which complicates thyroid issues. Insulin responses, progesterone, estrogen, and testosterone rely on good cholesterol to be formed. Unfortunately if your body is inflamed by an allergy or you are stressed out, it skips making those hormones and concentrates on using its good cholesterol to make cortisol (fight or flight hormones that make you retain fat). Estrogen and testosterone can also be made by other body chemicals but progesterone can’t. It’s only made by good cholesterol. You may consider taking fish oil and vitex- an herb that balances estrogen and progesterone. Albeit only take Vitex when you are not on your period as higher progesterone is not needed by your body when it needs to release the egg and clean out the lining of the uterus. Weird I know but it may help you on your quest for hormone equilibrium. Thanks for your input, Shannon. Unfortunately, I’ve been caught in a lawsuit over my mother’s estate for nearly three years, and my husband’s job situation has been unstable for even longer than that, so I do have a lot of stress in my life. Thanks for sharing your story, Nancy. I hope removing the metal dental work improves your health. I have been searching for a website such as this. I too have a swollen thyroid. I believe at times in the past few years I have had what they called thyroid storms. I will be in bed and my heart will start pounding like I am running a marathon. Then I am told it was a panic attack and it is all in my head. I went for an ultrasound a few weeks ago. I do also have nodules on both sides. The thyroid surgeon stated that they have not grown much since 2008. My neck is visibly swollen at the base and there were 3 nights that it kept me up because I could feel my heat beat in the swollen area of the thyroid and it would feel like my throat was closing up. “mine is not so bad as others and that I should deal with this for another year and come back to get another ultrasound done to see if the nodules have grown anymore”. “That if I feel like I cannot breathe at night, he gives me his word that the symptoms are not from my thyroid”…..really?? I told him how uncomfortable my neck and throat feels and he smiled and said, yes it probably feels like a monkey around your neck doesn’t it? I was done with him after that comment. Then he said that if I went home and thought about it and did not want to go through all of this, that he would send it through to my insurance to have the surgery to have the thyroid removed. According to the thyroid tests they took at my primary doctor, they said that my thyroid was producing what it needed to do. I am lost at what to do now. I want to go for a 2nd opinion. Thyroid issues have run in my family (on my Mom’s side). But I also do not want a swollen neck either. I need to update it with the current special, but if you visit her site she has all sorts on information and different programs available. hi laurie, wow what a story! hope ur feeling better. ty for sharing. Most days are pretty good, but I’ve still got a lot of healing to do. I’ve started using my Herbalix Detox Deodorant over my thyroid area, and from the neck to the underarm, as well and the underarm and soles of the feet. I noticed there is more odor again, so something is shifting and clearing out. I’m planning to attend Magdelena’s Hashimoto’s workshop to see what I can learn. If I could just ditch some of the stress in my life, I think it would help quite a bit, too. I’ve been working on it. While in the midst of posting different articles on various recipes, etc. from your blog onto my Facebook page, I encountered your article dealing with healing your thyroid. I am in the midst of healing my own thyroid – along with the rest of my endocrine system. There is a woman who had SEVERE problems with her endocrine system – including her thyroid. She has over 30 + years in nutrition research. She was able to heal herself. With your permission, may I invite her here to comment on her experience? Sure, that’s fine. Thanks for asking. Thanks to a drunk driver, my entire endocrine system started going south a month before my first birthday. My mom took me to doctor after doctor, and they all assured her I was fine. No testing. No history. No nothing. They could tell by just looking. And the fact is, endocrine people tend not to look sick. After an “event” in my 20s in which everything was shutting down, I realized it was up to me. So I started to research. It took years, but I figured it out and got my life back. One important thing to know is the endocrine system (thyroid, adrenals, pituitary, hypothalamus, pancreas, etc.) are at the center of health. All health problems involve the endocrine system, with the endo system starting the fight or simply joining in to make things worse. Thyroid tests are unreliable, the drugs prescribed such as Synthroid don’t work, and doctors believe what they learned in medical school: Thyroid problems are easy to diagnose and easy to treat and don’t affect anything outside the endocrine system. Wrong, wrong and wrong. So we’re on our own. The only unfortunate thing about that is we’ve been taught medicine’s magic bullet approach, so we don’t really look at the whole picture. For instance, untreated hypothyroidism includes depression and high cholesterol levels; it’s common to jump in to “treat” the depression and lower cholesterol, but that will do more harm than good. In fact, it won’t do anything good. And so it goes. We’re on an adventure here. It is so frustrating to talk to medical professionals time and time again and run into virtually no interest in nutrition or real healing – only pill pushing. I was just wondering if you have any resources to share regarding hyperthyroid problems? I am looking to find a natural way to deal with this. Thanks. I’ve read a fair amount of their material and they seem pretty logical. Hi, I’m Christine, a 26 year old female from Ontario, Canada. At age 12, I became very ill; I was gaining weight and not eating much, I was weak and fatigued- in bed all day- could barley get up to go pee, I had a lump in my throat (goiter) and was depressed, pale, had dry skin, hallucinations, brittle hair and looked near death. The doc’s thought I had mono, but after some blood work I was eventually diagnosed with the Hashimotos disease (type of hypothyroidism). I was put on a high dose of Levothyroxine- my symptoms cleared up after 2 or 3 weeks on the medication. I resumed a normal life, except once per year I’d get my blood taken and tested for appropriate thyroid hormone levels. Every year. my levels were stable, my dosage stayed the same. I ran away from home at 15 years old and had to be admitted to the hospital because my thyroid levels were very low, after only 2 months without levothyroxine. Fast forward 8 years…at 20 years old, while working full time, I started University- I also had 2 step kids at home to care for. My life became so hectic and my doctor retired- my prescription ran out and I kept putting off going to the doctors to get tested and renew it. Then I started feeling tired and feeling a constant pressure in my throat, so I went to see my new doctor. I realized it had been almost 2 years since I had taken a thyroid pill, confident that my levels would be deathly low, I had my new doctor take blood and THE THYROID LEVELS WERE NORMAL!! I told her I don’t know how this is possible, as Hashimoto’s is suppose to be a life time condition. She told me she thought it was for life too, unless it was a faulty diagnosis. That was 6 years ago, that is 8years with no meds, and still my levels are normal, tiredness gone, throat pressure mostly gone and living healthy! Don’t know what I did or stopped doing but…nobody can understand it. I too have thyroid issues with the root cause being lupus. I have started taking Sea Kelp and am finally loosing some of the weight from the high thyroid numbers. I will try some of your items also as I too want to get off the meds. Thank you for your post on your thyroid issue ..I apologize for the wordiness of this comment.. but much of what you went through ,, I did too.. and omg, I am glad I found this site and post and read it. Here’s my story.. After keeping an extremely crazy schedule for over a year traveling between 2 states on a weekly basis, eating not the greatest meals etc.., my anti aging doctor said my thyroid was wonky and put me on a low dose of armour. Why not tell me the schedule is causing this? Nope, ,she didn’t. I exhibited no symptoms..Well I had dry skin and hair however, we lived in Vegas and it was summer. I grew up in SoCal where you washed your hair and let it air dry and you rarely used moisturizer because the weather was mild (we lived 5 miles from the beach). So these symptoms were not from thyroid just sheer laziness from not changing routine. Anyway, went on armour and began to gain weight(it didn’t matter if I ate right or not, it was guarantee I would weigh more, and boy did I get heartburn which I used tums then learned bad idea. , my schedule continued to be the same and then upped the craziness a little by moving and commuting the opposite way for another 9 months. I began exhibiting more symptoms of hypothyroid and I went to dr. and said something is off not saying anything in detail but wanting to learn blood results first. I was told the results were normal and I should be normal, but I wasn’t. . After 2 1/3 years on it, I went from being a very active, creative, high achiever with 4 sons to barely being able to go to trader joes and get 3 days worth of food and then no energy to put it away. Ah man, it sucked My plans were all over the house incomplete too. The loss of family and friends to other illnesses (they were much older) made me want to search for a solution. I changed my eating habits totally healthy organic all the way and my schedule really calmed down so I had a feeling it was the med and it was wrong. I searched the web and found Elena Vegilicious and a few others, loved Elena. 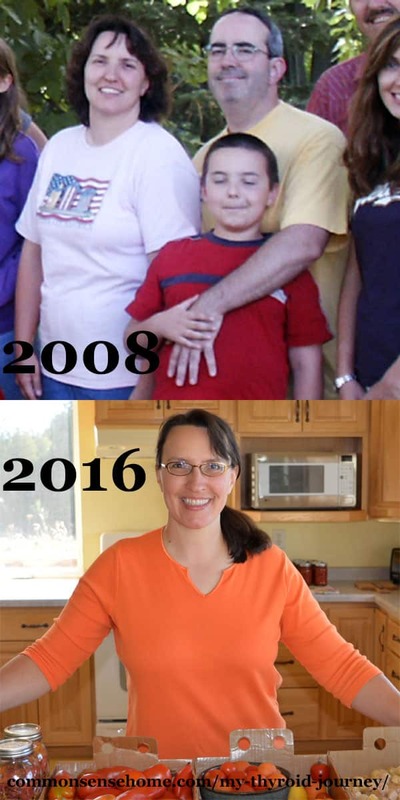 She went through a lengthy extreme situation and had thyroid issues and turned it around.. . I found the products you used and bought them to use as a replacement. After 5 days of going every other day with the armour and the herbal, I dropped the meds and continued the herbal.. drank smoothies and juices and felt better almost immediately..I stopped gaining and lost 10 pounds but haven’t lost the remaining weight yet. Kristina, glad the you are finding a solution that works better for you, and hope that you continue to heal. I’m on the same journey, my culprit is Candida. Once I get it gone, heal my gut and then continue a anti flamatory food diet. And stay on it. Good luck to you. That can be a toughie, based on what friends have told me. My brother was diagnosed with Hashimoto’s Thyroiditis a few years ago. He was recently having other problems and after telling his new dr. about his Hashimoto’s Thyroiditis, was immediately tested for Celiac Disease. The dr said that the two usually go hand-in-hand. He tested positive for that too. So, after going strictly gluten free, he is well on his way to recovery. Do get tested for Celiac Disease, if for nothing else to at least rule it out. Take care! And there are LOTS of gluten free recipes out now. I don’t think our insurance will cover the testing, but I have started eating gluten free since this was written, and haven’t noticed a big difference, compared to what my celiac friends tell me they observe. Still, I’m sticking with it to see how things go. I too have Hashimoto’s (and Lupus) and am surprised by just how common it is. It was interesting to read your posts because they echoed my own thyroid journey. After trying Prednisone, Levothyroxine, Synthroid, DHEA, a gluten-free diet, the anti-inflammation diet and several other treatments, I’ve come to the realization that nothing works and I must learn to accept it. At the risk of sounding too “out there”, energy or nature healing might be another option to try. At the very least, they won’t do any harm. I have a friend who is a massage therapist and also does energy work, and I know when I can get a session with her it does seem to help. Spending time outside in direct contact with healthy soil and vigorously growing plants is another activity I find soothing. There are specific microbes in healthy soil that are also good for the human microbiome, and they have measured energy given off by healthy plants that people seem to respond to, whether we notice it or not. I know for myself that I figure it took me over 40 years to get to this state, so I figure it’ll take a long time to improve. First, thank you for all the wonderful information you provide! I would like to make just one comment in regard to Armor Thyroid….I had switched to this option after taking Levothyroxine for a period of time…my goal was to go less synthetic. I understood that Armor Thyroid comes from the pig’s thyroid and that pigs are used in many instances in the health world. What I didn’t know about it that it is very difficult to regulate. I recently found this out when I filled a new script for the Armor Thyroid. I began to experience dizzy spells, a need for naps during the day (which is unheard of for me) and not wanting to wake up in the morning. Bloodwork showed my TSH way out of wack and the doctor informed me that the effectiveness of Armor Thyroid all depends on what pig and how well its thyroid is working….hmmmm. So I have returned to the Levothyroxine but will be educating myself on all this wonderful information your site provides on how to change my diet to improve my body. Again, you are much appreciated! Yes, that’s one of the reasons my first doctor didn’t want to prescribe Armour thyroid, but I felt so awful on Levothyroxine that I had to try something else. So far, so good. I was talking with Mike from Herbalix, and he hypothesized that I might be having a reaction to the aluminum salts in Levothyroxine, but there’s no way to tell for sure. Whatever set me off, it was not pleasant. We each need to figure out what works best for us as individuals. I have been following your Commonsense Homesteading for a while. I was surprised today to read that you have hypothroidism. I was diagnosed in 1998 with a series of other things. I was 37 at the time. One of the things I learned about thyroid disease and carbohydrates, specifically bread products, is that they are made with bromated flour. Bromine was substituted for iodine years ago. Bromine, fluoride and chlorine in the body will connect to the same receptors that need the iodine. I read Dr. Davis’ Wheat belly diet and realized, that while I am not gluten intolerant like a lot of thyroid patients are I need to use unbromated wheat flour. It takes a while to clean the bromine and other inhibitors out of the system. There are a lot of great resources about dealing with hypothyroidism out on the web now. I continue to learn new things about how to feel better. I am rooting for you and all the other people who have responded to this web page because I know it can be very lonely and frustrating when it feels like your body has become your worst enemy. Yep, I read about the bromated flour years ago, too. Very frustrating. Some sodas also contain bromated vegetable oils, so the soda drinkers are getting a double dose. I know King Arthur flour is a safe one to recommend, because it’s never bleached or bromated. Everything I have read here I totally relate to. I have jJust been diagnosed with hypothyroidism by my OBGYN. Funny thing is, I don’t think he has a clue. He’s just going by the book. So I went to my GP and he is so open minded thank goodness. He has done a complete blood workup on me to find the underlying cause and is totally open to natural remedies. I am waiting for the results before I stop taking the levothyroxine. It amazes me how the medical industry doesn’t want to figure out how to get healthier and what causes these issues in the first place. They just give you a pill. Did you ever get new blood tests done after stopping your medication?? I’ll keep you posted on my results. Now I’ve relaxed the rules a little, but I still watch what I eat and limit or avoid problem foods. I did t realize there were so many people with Thyroid issues. I think I’ll see if my doctor will give me these tests. I’m on Medicare and if they won’t pay, I can’t have the tests. I think I need to be retested as I have started to gain weight again. Not fun! I am 6 pounds less than when I was 9- months pregnant with my first child. I weighed 118 before I got pregnant. I only gained about 20 pounds. This thyroid stuff isn’t fun. I’m looking forward to learning more. I was diagnosed with subclinical or unspecified hypothyroidism 18 years ago. They only did the TSH level test. I began with 88 mcg. of Synthroid. Over the years my medicine has gone from 88 to 175 mcg. I am currently at 125 mcg. After years of reading trying to figure out how I developed hypothyroidism they finally did a TPO test and diagnosed Hashimoto’s. If any of you do get tested for thyroid disease, please be sure to request the TPO antibody test. I believe it is now 8 out of 10 people with hypothyroid disease have Hashimoto’s. Izabella Wentz’s book is helping me a great deal. Looking forward to learning more about Lauri’s journey. I have read many things about low functioning thyroid issues and many solutions and suggestions. My question is do these solutions and suggestions apply to those of us who don’t have a thyroid anymore. Mine was removed 9 yrs. ago. I’ve been on 112mgs of levonthyroxin ever since. Yes, some of the information will still be applicable. Even though the thyroid itself is gone, the medication you are on still depends on the gut and liver for proper breakdown and absorption. No part of the body works in isolation. Reducing inflammation throughout the body will also improve overall health, and decrease the risk of developing other autoimmune conditions. Hi, I’m new here, but your newsmail section on thyroid issues caught my eye. I was diagnosed over 10 years ago (in my mid 50’s then, 63 now) and have been on Synthroid since. It has worked great for me: increased energy, hair no longer dry and thinning, able to handle the cold so much better, and if I watch what I eat, I lose weight. My pcm is traditional, but she told me the thyroid regulates everything in my body; that’s why it’s so important to keep an eye on my numbers AND how I feel. And keep my dosage correct. Keeping my gut running well and my liver healthy is a no brainer for any meds or supplements to do their job. Okay…off to check something for the man…thank you for sharing your story and the info….I need to check out all of this! I too have hashimotos and have had great success lowering my antibodies through diet. Mine were in the thousands and are now only 20. Interestingly, I tried Armour after taking Synthroid for about 15 years and didn’t feel well at all on it. 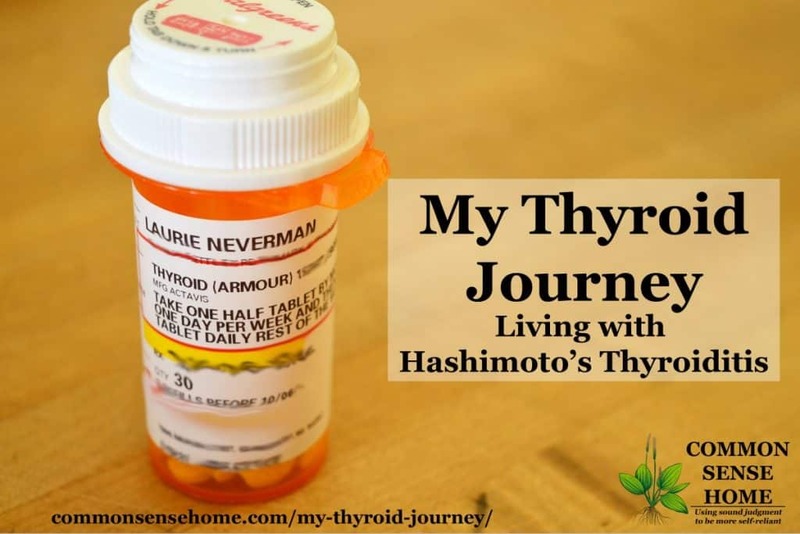 I was so excited to find a doctor who diagnosed me with hashimotos and not just hypothyroid and was willing to help me try Armour. I went back to Synthroid and at her suggestion added Cytomel (T3 only) and I feel better than I have in years. My daughter started out on Armour when she was diagnosed 2 years ago and she too has recently switched to Synthroid and feels better. She hasn’t been as careful with her diet though and her antibodies are still about 1000. Thanks for all you do and for sharing about your health struggles. You look great by the way, I can tell you feel good too. That’s a wonderful turn around with your antibodies. I’m glad you found a doctor who was willing to work with you to find the right option. Thanks for sharing your experience. I read this post and also the https://commonsensehome.com/hashimotos-thyroiditis/ post. Both very informative! I have been taking Levothyroxine for just over a year now but have been probably been having thyroid issues for at least 10 years. However all my t4 tests were in the “normal” level. I finally went to an endo and got my TSH also checked and it was over 300. She said I have hashimotos. Currently I am taking 100mg. One issue I had with my first dose was the dye in the meds(88mg). I was feeling so dizzy from taking the meds so I made her switch me to white pills. This helped with the dizziness. I also have to take my meds at night because taking them in the morning kept me awake. I also have been seeing an allergist and do allergy testing evey so many years. About 6 or so years ago food allergies started shoing up, never has an issues with food before. My results say there are a whole bunch of ‘healthy’ foods I can’t have include coconut, carrot, raspberries, nuts, sweet potato, turkey, pork. I also can not eat avadcado or eggs. Why does my body hate all these foods? It makes it hard to eat better with so much on the no list. I know that my stomach/digestive tract is part of the problem but am not sure how to fix it. I also am extremely low in iron. Starting a supplement for iron has helped. My vitamin D is also low. I am trying to figure out how all this is related to inflammation because I feel that is the root cause of many of my problems. Taking anti-inflammatories are only so helpful because they upset my stomach after awhile. I also have chronic stress I think which does not help anything! Hi Amy. If you haven’t signed up to watch the free documentary, I would check it out. I know the work of many of the presenters, and even if you can only watch a small part of it, I’m sure you’ll pick up something useful. When I was younger, I used to be able to eat anything. Now, not so much. As we age, our body naturally produces fewer digestive enzymes, peristalsis often weakens and our digestive systems become less efficient. Couple this with the wear and tear of all the substances that are in our food supply that shouldn’t be, and it’s very hard on the gut. If you’ve ever had antibiotics, those raise havoc with your digestion, too. Humans have 10 bacteria cells in their bodies for every one human cell. When we take things that kill off bacteria, our systems get out of whack. There are many pieces to the puzzle, and no simple answers. Know that you are not alone, and it is possible to heal over time. I did sign up to watch it and hope to learn more from it! There is a lot of reading to do and things to learn. I’ve had Hasimotos hypothyroidism for just over 22 years now inherited this through my mother. Levothroxine doesn’t work on me at all. I have to take brand name Synthroid. Once on the medicaton, everything returned to normal. I haven’t tried changing my diet. I’ve just started to see posts on this this year. I just had my medication upped this year. Oyster than the mental heath issues I suffer due to C-PTSD, years of abuse, I’m doing okay. My skin is still very dry, but I also just went through menopause, so it was inevitable. I’m trying whatever I can to illeviate that. I guess I’m not ready to change my diet as its filled with dairy and carbs. But my thyroid is good. I due suggest to those of you who are on Levothroxine to have it changed to Synthroid. It does make a big difference. I have been watching the free videos by Dr. Izabella Wentz. They are very informative and helpful. Each episode is about 2 hours long. There are nine in all. Thank you for sharing the information about these. Glad you’re enjoying the videos, Kelly, and thank you for your kind words. I’ve watched one so far and am hoping to get in another today. So much to learn! My T4 levels were slightly high for about 4 years and I tried to control my hypothyroidism with kelp supplements, tofu, avoiding goitrogenic foods such as Brussel sprouts, kohlrabi, turnips, rutabaga, radishes, cabbage, kale, and cauliflower after reading several books on the condition as I did not experience all the symptoms associated with hypothyroidism. In October 2014 I was diagnosed with invasive and ductal breast cancer, had lots of testing done which included a PET scan (a test to determine if cancer was present elsewhere in my body) and my thyroid gland showed possible cancer. The thyroid biopsy was negative, T4 slightly elevated and normal T3. If I recall correctly, Hashimoto’s level was around 8,000. I started on Levothyroxine 75 mcg, still take the same amount and take most of the supplements mentioned above. I am writing to suggest that folks continue to eat cooked goitrogenic foods as clinical studies show that they prevent the growth of cancer cells and the blood supply to the tumor. I try to eat them daily. I am doing remarkably well for Stage 3 cancer and thyroiditis. Glad that you are doing well in a difficult situation. Breast and thyroid health are both tied to iodine intake, too, so that’s an area that you may want to look into as well. Hi everyone nice to read such positive post. I have changed my diet glut free, dairy free, soy free unfortunately not noticed any difference. Find it difficult to tolerate any thyroid medication I’m struggling with fatigue unable to do very much now the hashimoto is causing problems with my nervous system heart etc…. Im pretty sure a big problem for me is my adrenals! Dr in the UK are useless! Could anyone. Please tell me how /what helped your adrenals I’m desperate… Wishing you all the very best many thanks. That’s great! Thanks so much for sharing your story. I read the instructions on the bottle that vitex should be taken early morning on empty stomach, however I intake synthroid first thing in the morning to treat my Thyroid (hypo) situation. Could you please advise if synthroid should be taken first in the morning or vitex. I’m not familiar with the product Vitex. I’d suggest checking with the company that makes the product.